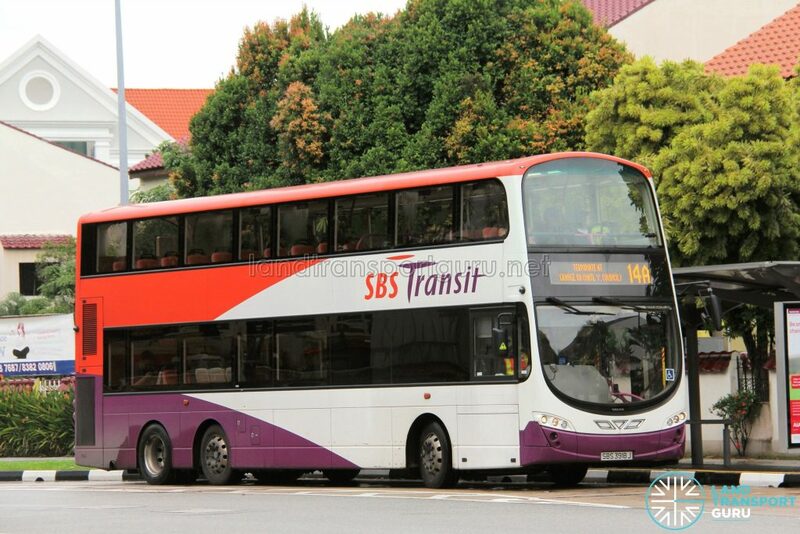 SBS Transit Bus Service 14A is a Short-Trip Service variant of Bus Service 14. 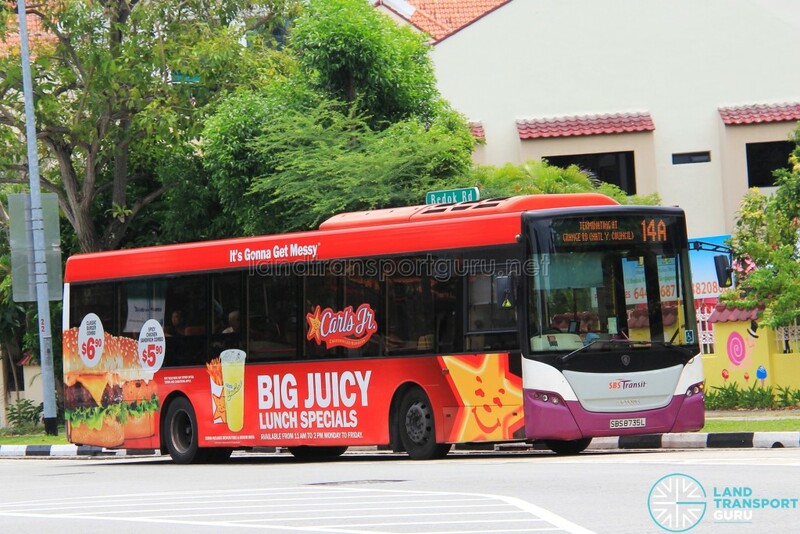 The route operates from Bedok Bus Interchange and ends at Grange Road (National Youth Council), operating only on Sundays and Public Holidays. 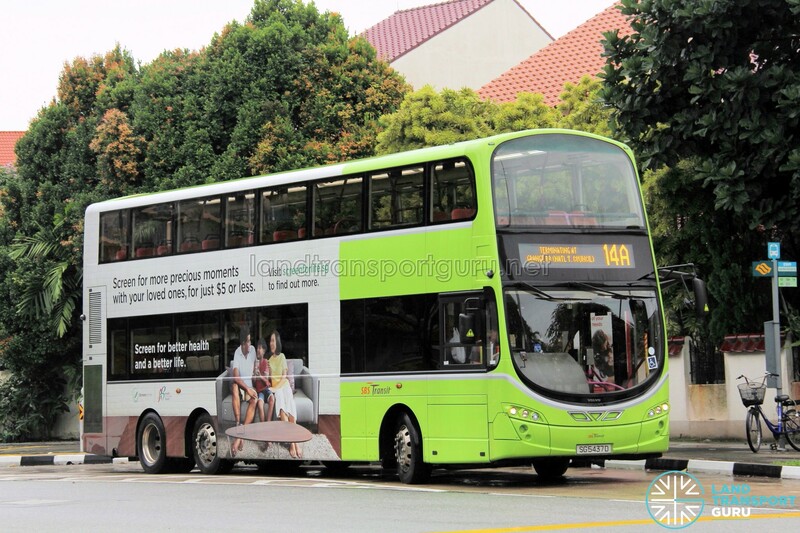 Short Trip Service 14A is a trunk service operating from Bedok Bus Interchange and ends at Grange Road (National Youth Council) on Sundays and Public Holidays. 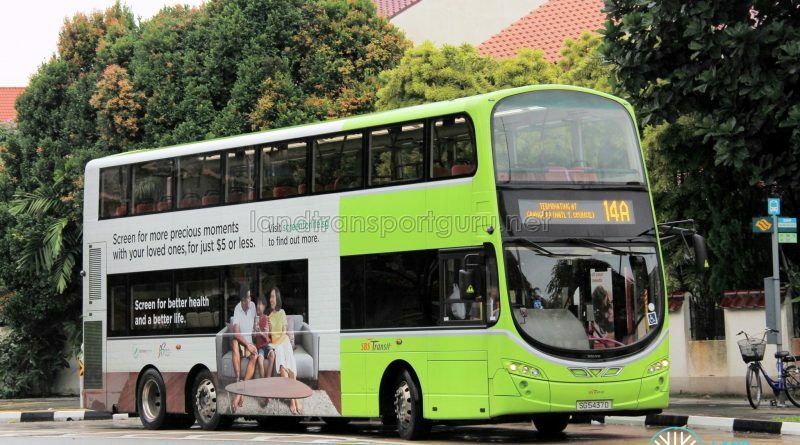 Uncommon for a Short-Trip Service, the route operates only on Sundays and Public Holidays, and supplements the high demand for Service 14 at Bedok North, Upper East Coast and East Coast heading to the City areas.